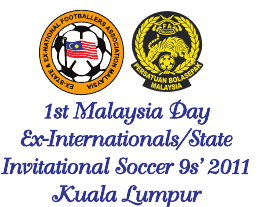 Come Friday (Sept 16), it will be a congregation of soccer stars of yesteryear at the Victoria Institution grounds where the 1st Malaysia Day Ex-Internationals/State Invitational Soccer 9s will be held over two days. The tournament kicks off at 8.30am on Malaysia Day with the opening ceremony which will see former Asian Football Confederation (AFC) officially declaring the tournament open. A total 12 teams, namely eight State teams - Kedah, Penang, Perak, X-Mail KL/Selangor Selection, Malacca, Johor, Sabah and Sarawak - and four overseas teams - Singapore, Thailand, Brunei and Western Australia - will be competing for the coveted HRS Crown Prince Abdullah of Pahang trophy. 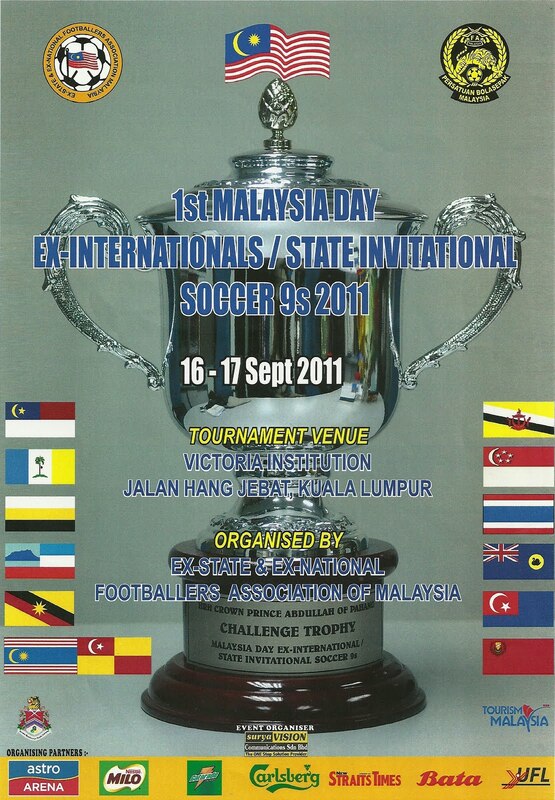 Just a brief history as to how this unique tournament came about, a first of its kind for veterans who have only played at state and national level, was conceived by the Ex-state & Ex-National Footballers’ Association Malaysia, under the leadership of President, Lee Soon Huat, with several aims in mind. First, it was to bring together players of yesteryear who were household names for a congregation of stars in annual carnival and fun-filled atmosphere. Secondly, to organise the tournament to raise funds for the association to have a welfare fund and also a scholarship fund for the children of the members. But above all, to have a gathering to bring together players who have not met for a longtime to have an opportunity to congregate and reminisce about the good old times, renew old ties and long lost friends and play some football. It was not so much about the competition, but about the congregation of players from all over the country at their ripe age. And coinciding the tournament with the Malaysia Day, made it even more meaningful because this tournament could well be what Merdeka tournament is, but a tournament for the veterans. The presence of foreign teams, truly adds the international flavour and all indications are that it will grow into a tournament not to be missed in the region for veteran stars. Ø All participants must be 45 years old and above (seven) and 50 years old and above (seven) and it will be a nine-a-side tournament. Ø The teams will be divided into four groups after a draw at the team managers meeting on Thursday at 8pm. They will play a one round league, before the two top teams of each group proceed to the second round in the winners pool, while the third team in each group will move to the second rounds in the plate event. Ø In the winners pool the eight teams will be divided into two groups and play another one round league, while in the plate event the four teams will also play a one round league. Ø Top two teams of the two winners pool group will qualify for the crossover semifinals, while in the plate event the top two teams will play in the plate final. Ø There will be a third placing match in the winners’ pool. 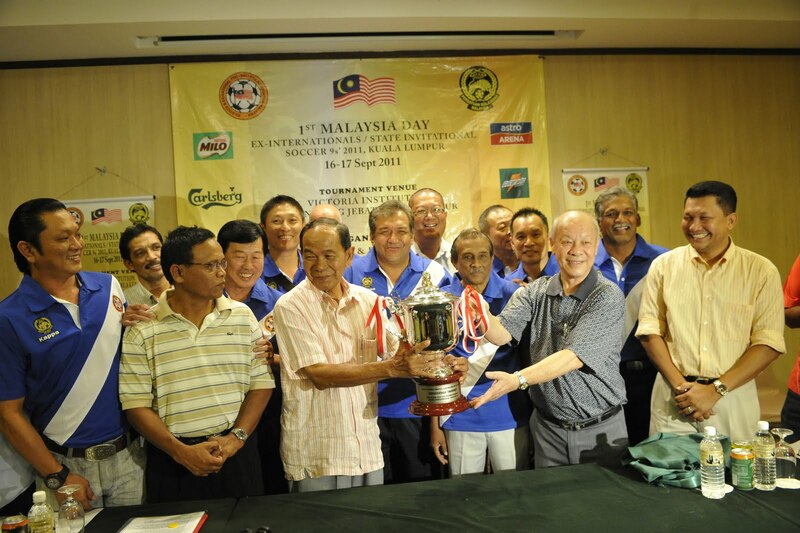 Ø Prize money for Winners’ Pool champion is RM2,500, runners-up is RM1,000, third placed RM300 and fourth placed RM200. Losers’ pool winner will win RM500 and runners-up RM200. Medals will be given to top four teams in winners’ pool and top two teams in the losers’ pool. Among the benefits the Association is looking from this tournament is the hope that veteran soccer in every state will take-off in a bigger scale and look forward to this annual event. Through this tournament organising chairman, Bahwandi Hiralal hopes to increase the visibility of the Ex-State & Ex-National Footballers’ Association Malaysia and in future organise more activities. 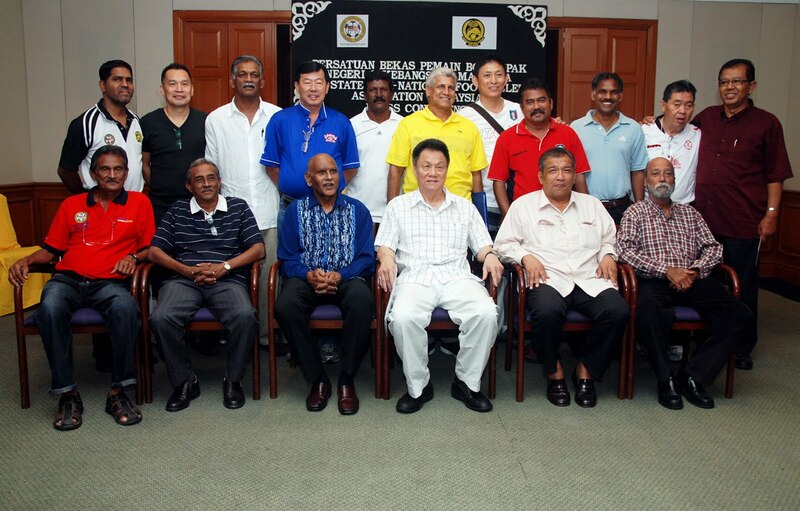 Besides the tournament itself which will be the highlight, the official dinner on Friday night at the OCM Indoor Arena, will be another nostalgic event. Besides the football players’ congregation, there will also be sports greats from the hockey, athletics and badminton present. Thus, it will not just be a congregation of footballers of the 60s, 70s and 80s era, but a congregation of sportsmen and women of the era. The 1972 Munich contingent is expected to attend in full force. There will be veteran radio broadcasters, doing a live Sports Show led by Vincent Fernandez and Radha Krishnan. Indeed a golden and nostalgic night is in store! Tengku Mahkota of Pahang, Tengku Abdullah Ibni Haji Sultan Ahmad Shah will be present to watch the final on Sunday at 4pm and give away the prizes. This tournament would not have been possible without the support of sponsors. 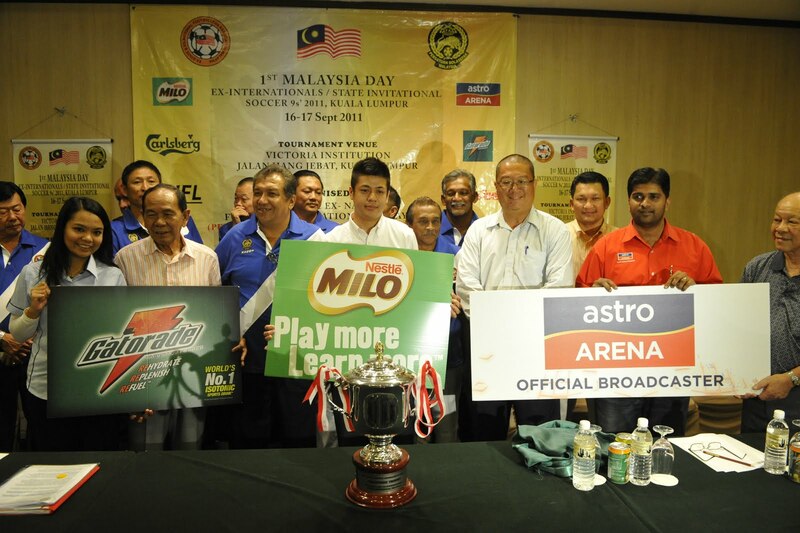 Astro Arena leads the way together with Nestle (MILO), Gatorade, Carlsberg, New Straits Times, Bata, UFL, City Hall and Tourism Malaysia. Hope the winners will donate the prize money back to the association as the objective of the association is to raise fund for its needy members and participating players in the tournament are all from the association,I trust.